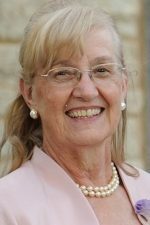 A funeral Mass will be celebrated at 11am on Saturday, October 6th, at St. John Vianney Parish, 704 Montdale Road, Scott Township, PA. Friends will be received one hour prior to the Mass at St. John Vianney. Internment will be at St. Joseph’s Cemetery, Montdale. Special thanks are extended to the staff at Mountain View Care Center, especially the staff in Bella Bay, and Hospice of the Scared Heart. In lieu of flowers, memorial contributions in memory of John may be made to St. John Vianney Parish and Hospice of the Sacred Heart. 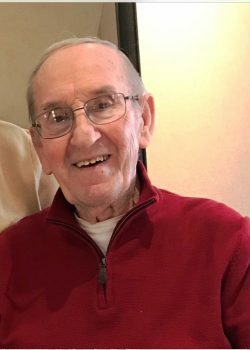 John Paul Rolka, 89, a former resident of Montdale, PA, died on Friday, September 28th, 2018 in his home at Mountain View Care Center. He is survived by his beloved wife of 58 years, Theresa A. (Popovich) Rolka. He was born in Dickson City, PA and was the son of the late John and Martha (Lipka) Rolka. John was a graduate of Dickson City High School, class of 1947, where he was an outstanding athlete. He was captain of the Dickson City Blackhawks basketball team and a member of the football team. After high school, he proudly served his country and was a veteran of the United States Air Force where he had special assignments with the Military Police and was stationed in California and the United Kingdom. John then attended the University of Scranton where he studied business. He was a prominent, self-employed businessman and owned and operated Rolka’s Service Station on North Main Avenue, Scranton for 30 years. He was also employed by the Pennsylvania Turnpike Commission, from which he retired in 1994. John was a man of great faith who lived and shared his love for God, his church, and family. 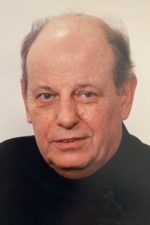 He was an active member of Corpus Christi Church, now St. John Vianney Parish in Montdale, where he worked as a festival committeeman, choir member, and usher. John was a loving husband, father, grandfather, and friend. He will be sorely missed by all who knew him. John had a love for sports, especially golf, football, and baseball. He truly enjoyed watching his dear grandchildren participate in all sports, and he enjoyed sponsoring and volunteering for Little League. 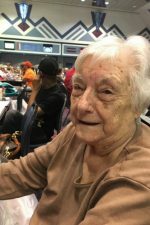 He loved traveling to sporting events, and he especially loved supporting his teams: Duke University, the University of Delaware, and the Philadelphia Phillies. He also enjoyed traveling to Florida in the winter months and visiting such places as Aruba, Hawaii, California, and Las Vegas. In his earlier years, he even drove across the country. John was a kind, generous, and caring man who took great pride in his home. John is survived by a daughter, Diane Nelo of York, PA, and a son, John A. Rolka and his wife Karen of Dalton, PA. He is also survived by seven grandchildren of whom he was so proud; Kathleen Nelo, Joseph Nelo, Julia Nelo, Anthony Nelo, all of York, PA; Maria Vitovsky of Great Bend, PA; Nicholas Rolka and Nathan Rolka, both of Dalton, PA.
John was preceded in death by his daughter, Ann Vitovsky; three sisters, Helen Belvedere, Eleanor Rosiecki, and Charlotte Pietrowski; two brothers, Alfred Rolka and Henry Rolka; and several nieces and nephews.